When new users have been added to your system, you have many options for managing user accounts. Using the Accounts page, you can view a list of user accounts, edit user accounts, and delete user accounts. For information on creating new user accounts, please reference the Manually Creating User Accounts Knowledgebase article. For information on resending passwords or welcome emails, please reference the Resending a Password or Welcome Email Knowledgebase article. In the Organization navigation menu, select the organization in which you want to manage user accounts. The selected organization displays. Note: If you want to see a list of all user accounts from every organization and suborganization, make sure your master organization is selected when you access the Accounts page. In the Accounts page toolbar, you can search for individual user accounts using the Search field, or filter to view only admins by clicking the Admin button, or invited users by clicking the Invited button. Click the Edit button next to the account you want to manage. The Account Settings page displays. Click the View User Dashboard button to view account activity, such as recent activity, linked machines, account files and backups, Team Shares, and space usage. Change account details, such as name, login credentials, and settings. 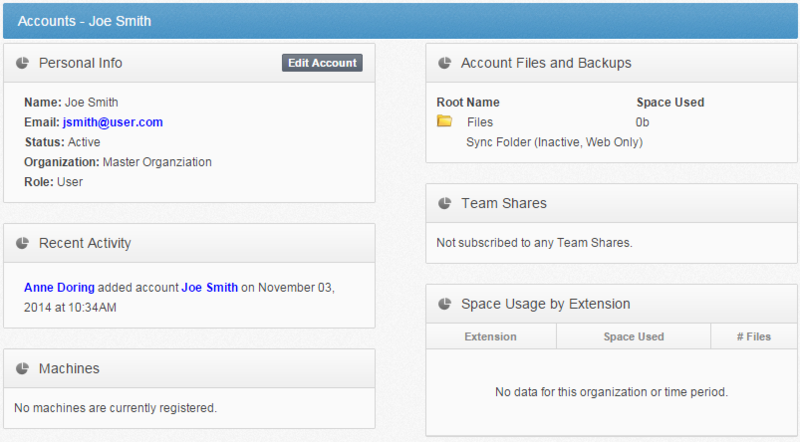 You can also assign role permissions for the user within specific Team Shares. Optionally, in the Accounts page, you can delete users by clicking the Delete button. 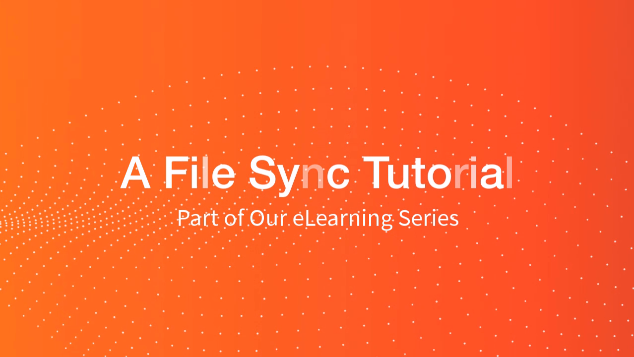 A dialog box displays, prompting you to select whether to keep files or remove files from the server and the user's machine. Click the Permanently Delete button to confirm.